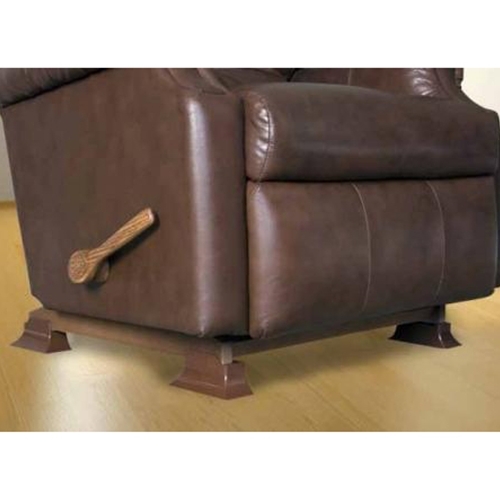 Stander Recliner Risers from HealthyKin.com make it easy to stand out of your recliner. 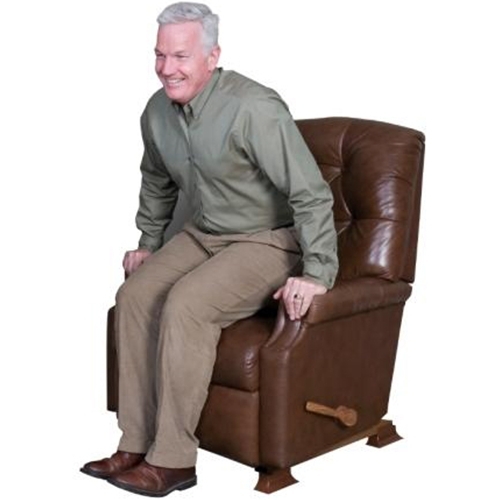 These base lifts raise your recliner 3-4 inches to give you more leverage while standing. It blends in with your recliner (like another piece of furniture) so you can maintain the comforting feeling of your home. Very easy to install. Really gives that extra needed height. bought a beautiful red leather recliner furniture . I did not notice that the floor was a simulated wood. When we got the chair home to our family room, which has thick carpeting, the chair was lower than I expected. I'm 81 and had difficulty getting out of the chair. 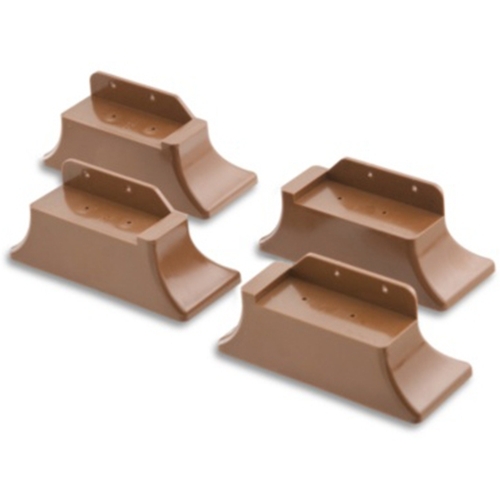 After receiving the risers, I'm now able to easily stand up. They were easy to install and look like they came with the chair. Thank you for a great product. A good price. Easy for me to install and really helpful for my husband to get out of the recliner.